How can I best take care of my Ayurvastra products? 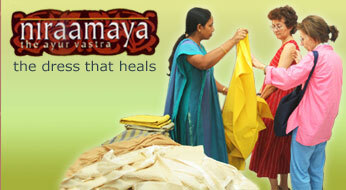 We recommend using organic soap for washing Ayurvastra cloth. Wash separately with bleach-free detergent. For machine wash, use gentle cycle. The cloth can be ironed with a warm iron; steam ironing is ideal. Iron to shape and dry in shade.